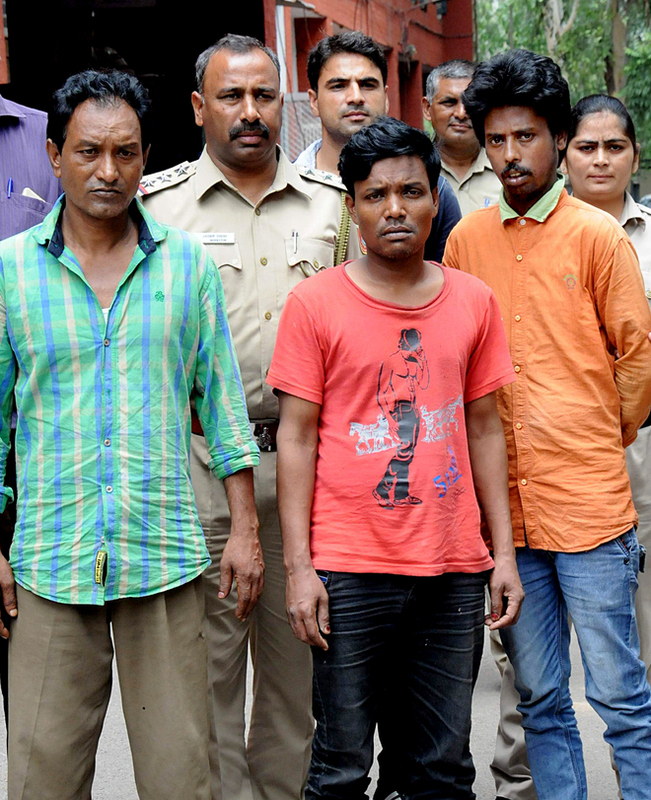 With the arrest of three persons, two of whom are natives of West Bengal, the Chandigarh Police have busted a gang involved in human trafficking and have recovered three girls, including two minors. Those arrested have been identified as Gopal Sarkar and Daddu Mondi, both residents of Naya Gram in Burdwan district of West Bengal, and Raju, a resident of Bapu Dham Colony, Sector 26. Inspector Jasbir Singh, SHO, Mani Majra, said they had a tip-off that the suspects were looking for some customer to sell a minor. “We posed as decoy customers and negotiated with the suspects, who asked us to come to Kishangarh,” the SHO said. He said the suspects were arrested while taking an advance of Rs 5,000 and the minor girl was recovered from them at the spot. The police said during investigation, they recovered another minor girl from them. Another girl, who is over 18 years of age and was allegedly sold a few months ago to a Mani Majra resident for Rs 70,000, was also recovered by the police. All accused were produced in the court today, which sent them to three-day police remand.